Whether you are an adrenalin junkie or looking for some adventure, a 50m bungee jump and speeds of upto 95kmph would surely not disappoint. The activity involves jumping from a 50m tall structure while connected to a large elastic cord. As you fall to the ground the bungee cord stretches out to the grounds, which stops and propels you skyward. 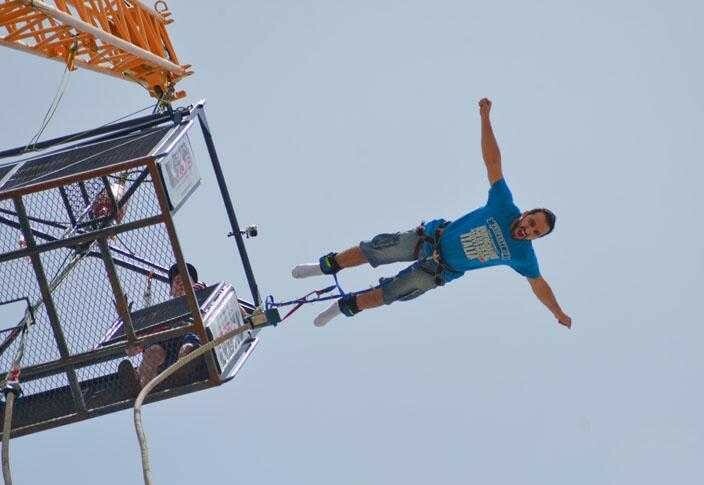 Contact Us for bungee jumping dubai to schedule the most exciting part of your visit. Our friendly representatives are available to assist you. Transportation from Dubai can be purchased seperately on this excursion while booking. This tour is operated on Friday's only. For bookings on other days, please feel free to contact us. 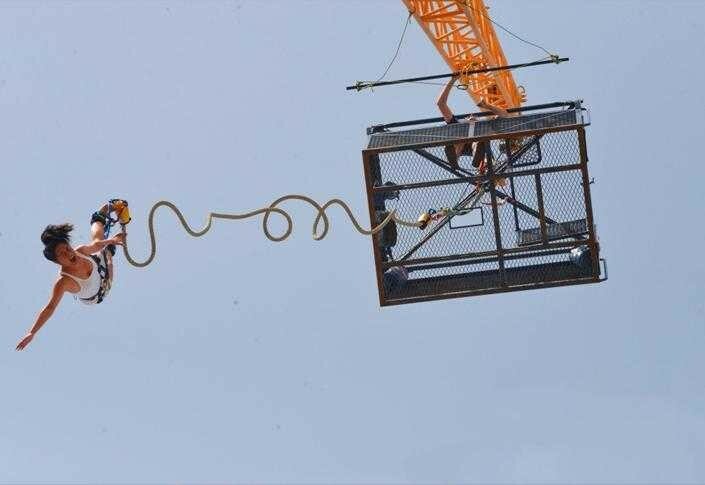 If you’re on a regular medication, you should consult a doctor to ensure that Bungee Jumping will not cause / exacerbate side effects and that the underlying condition does not make Bungee Jumping unadvisable.